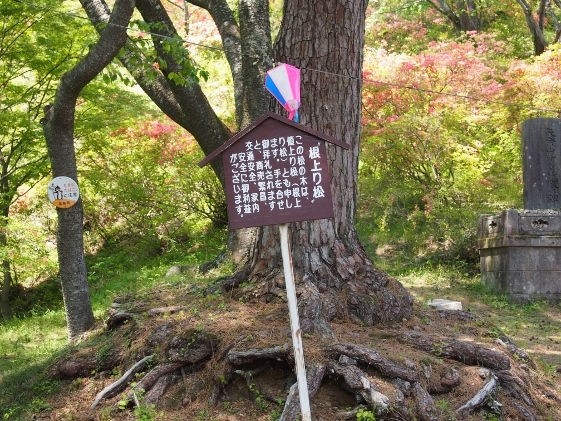 Totsube giant cherry tree in Yamatsuri Town in the southernmost part of Fukushima Pref. 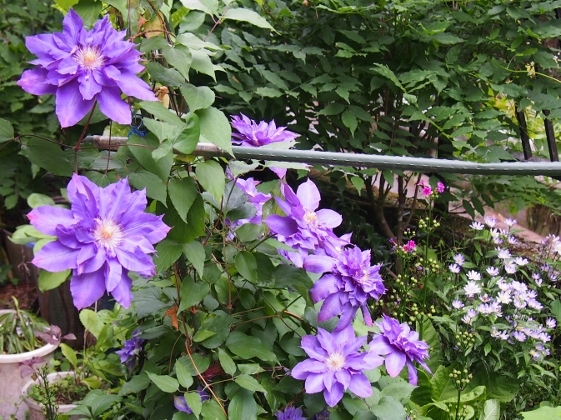 has become in full bloom today. 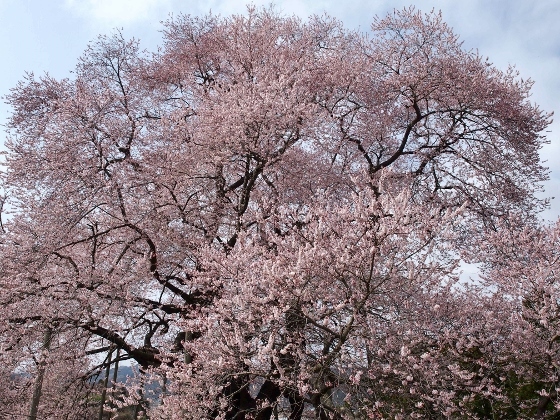 This is the earliest cherry tree to bloom in Fukushima Pref. every year. 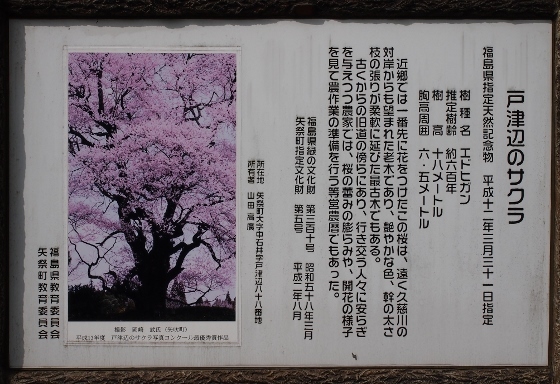 The tree is 600 years old and is Edohigan kind of cherry tree. 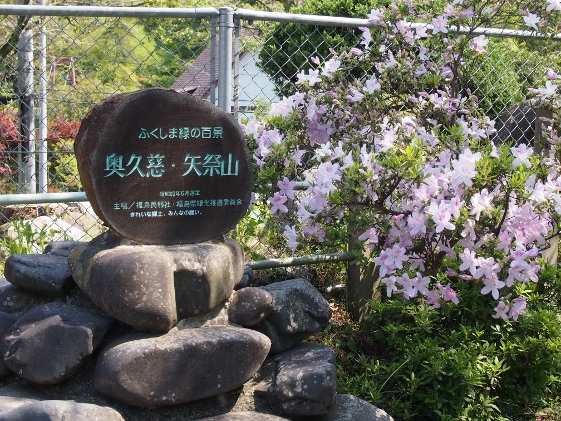 A sign board above explains that this old cherry tree, which used to bloom earliest every year from old days, was so large that it was acknowledged from the other bank of the Kuji River which flows distance away. 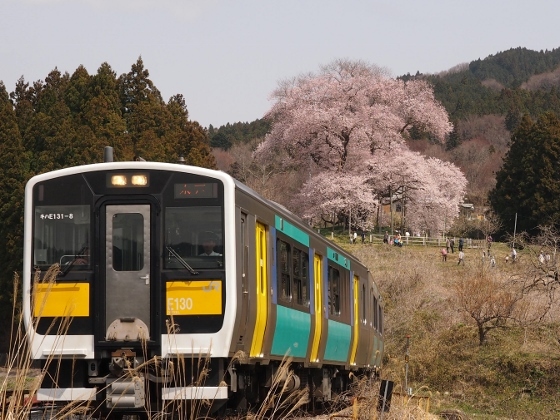 JR Suigun Line train can be seen from above near the cherry tree. 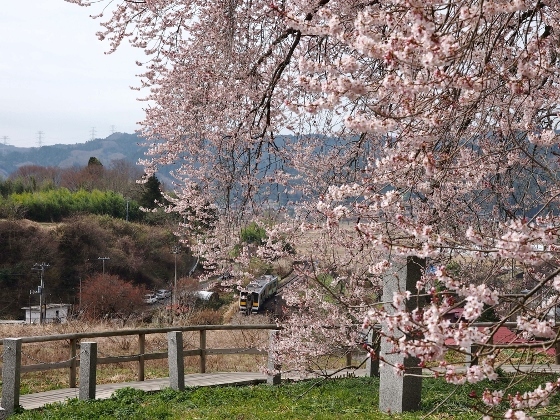 The giant cherry tree can also be looked at from beside the railroad track of JR Suigun Line. 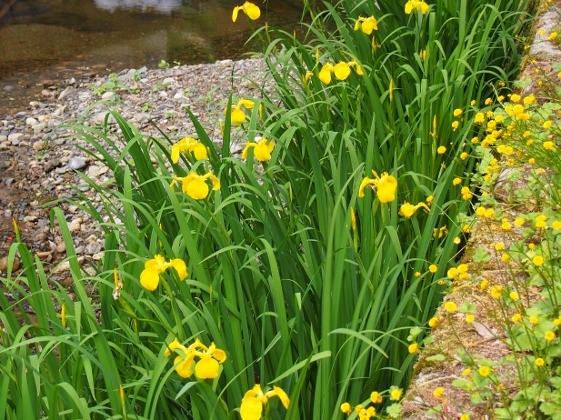 Ayu (=sweetfish) season opened from June at Kuji River along the National Route 118. 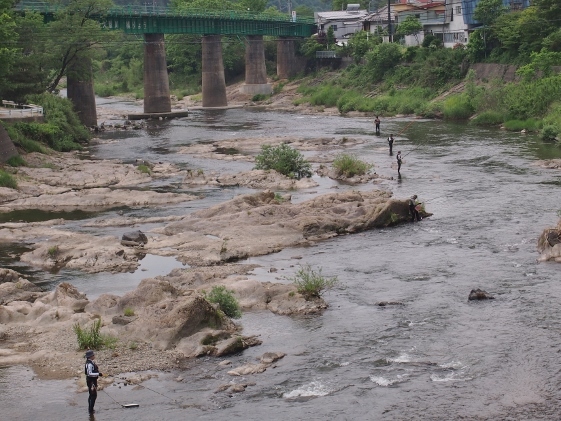 I could find many people fishing in the river as shown in the picture above. 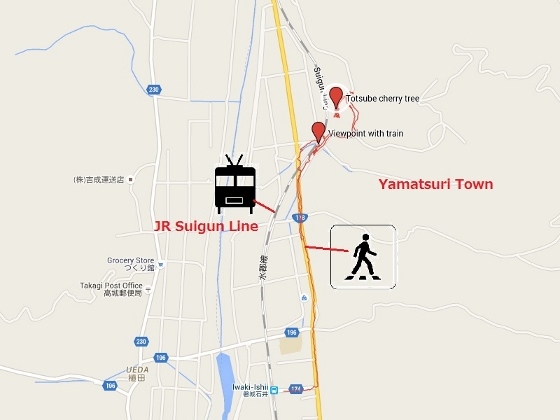 The green railroad bridge of JR Suigun Line could also be found in the picture. 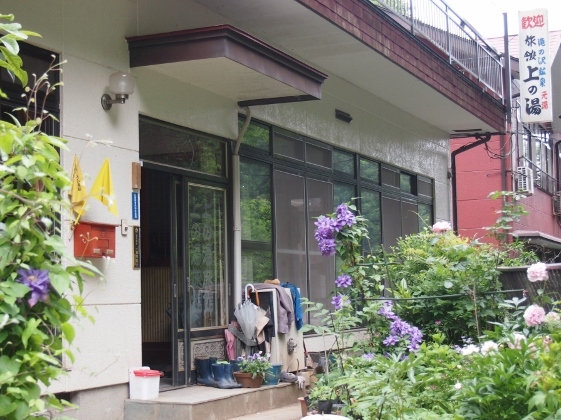 Tonight I stayed at Kaminoyu Inn of Takinosawa Onsen. 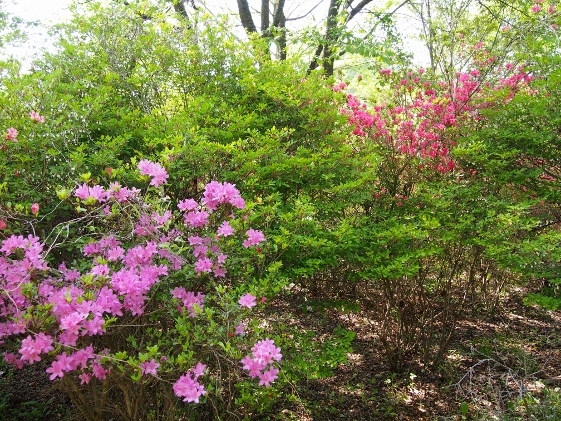 This time I could find many flowers blooming in the garden as shown in the pictures above. 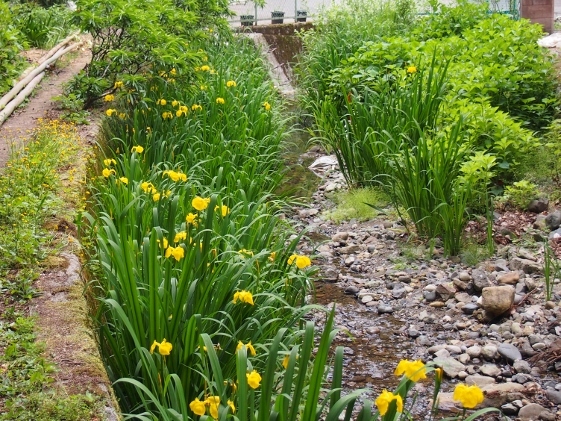 Some of them were violet clematis, white Chinese peony, and yellow Japanese iris along the Takinosawa stream. 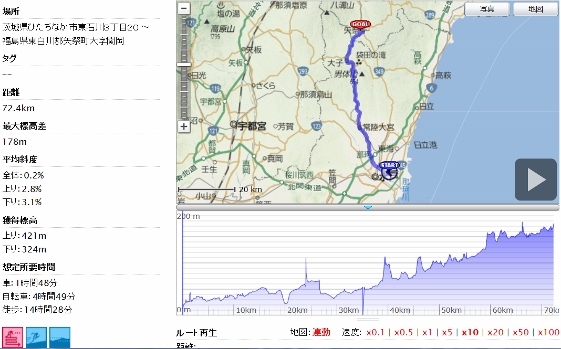 Today, I started Fukushima bike tour of May 2013. 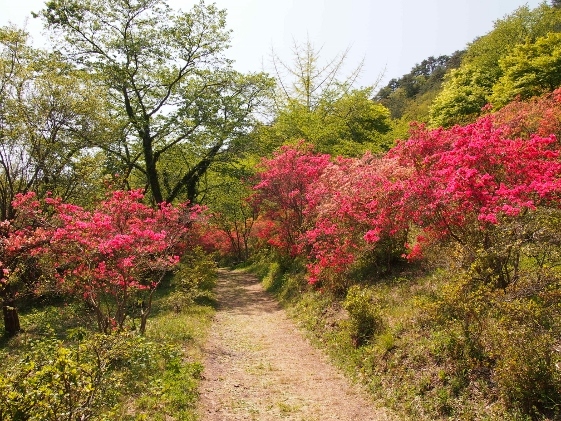 This time I started the tour from Yamatsuri Town the same as last April, and will present much attractiveness of Fukushima in terms of spring flowers. 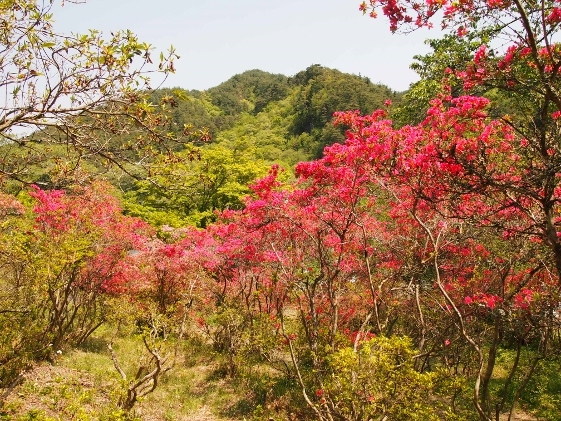 First up, beautiful azaleas of Yamatsuriyama can be seen below. 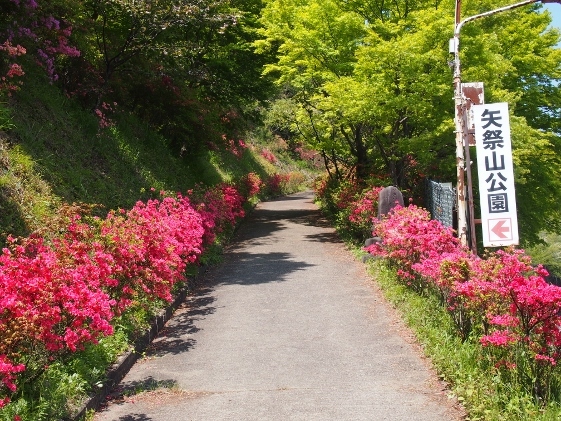 At Yamatsuriyama Park in front of JR Yamatsuriyama Station, wild azaleas were still in bloom all over the mountain as shown in the pictures above. 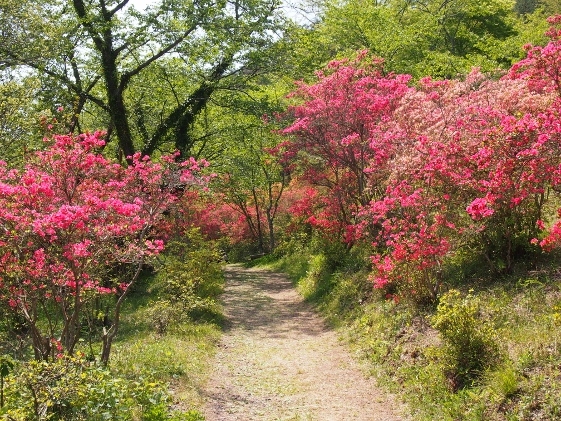 Although the best to see had been over, the kind of azalea with dark red flowers called Kirishima was in full bloom. If you bow with your hands together to the pine tree of the picture above, then you will get good answers for road safety and family safety. 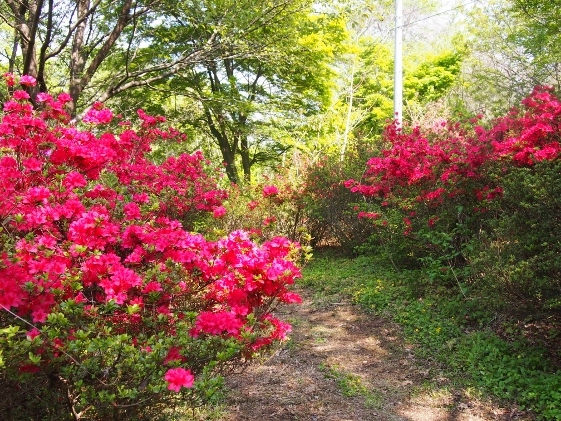 At Musoen Garden which was located across the Kuji River, azaleas were still in good bloom as shown in the pictures above. 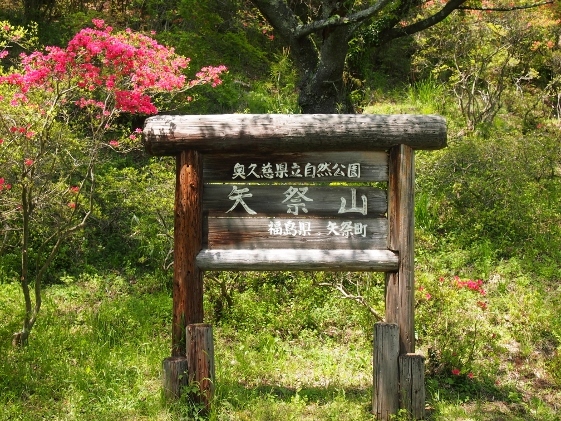 Tonight I stayed at Kaminoyu Inn of Takinosawa Onsen as usual. 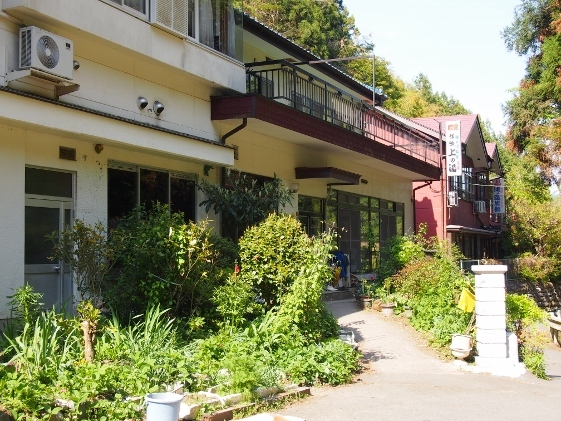 This inn had good bath with slimy hot spring water with neither color nor odor which made me so relaxed. 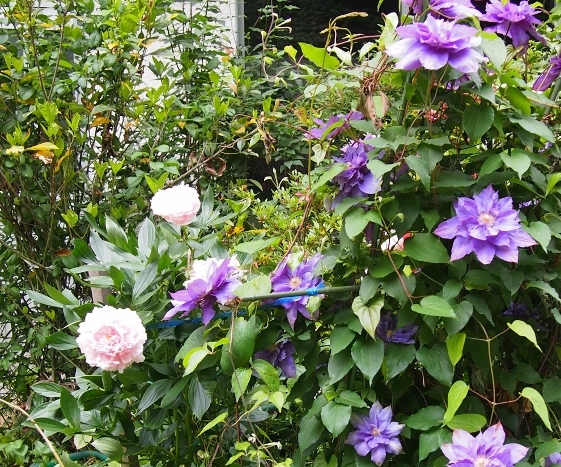 And this inn served best meal with fresh out of the garden foods.